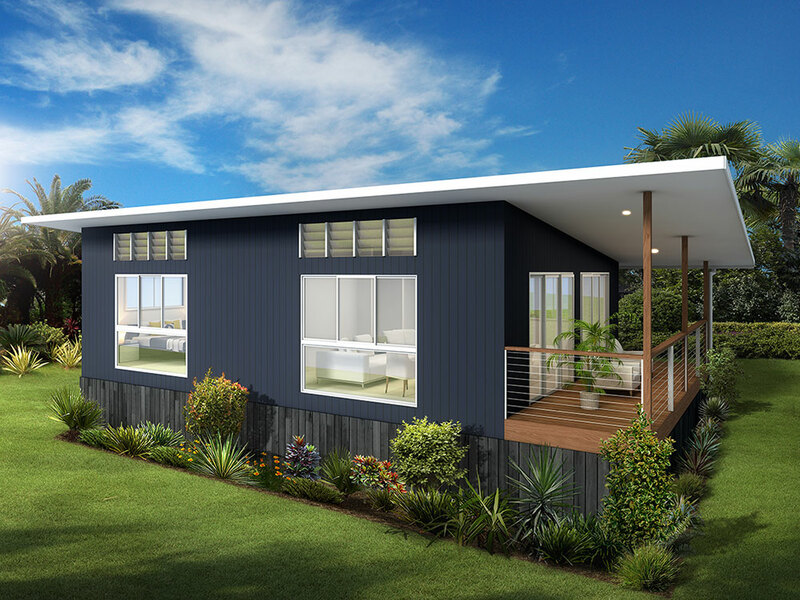 Large and spacious, this modern granny flat design has everything you could need. The large bedroom has a very usable open study area incorporated into it, ideal for use as a study/work area. An open plan kitchen/dining/living area with added storage opens out onto a large deck. 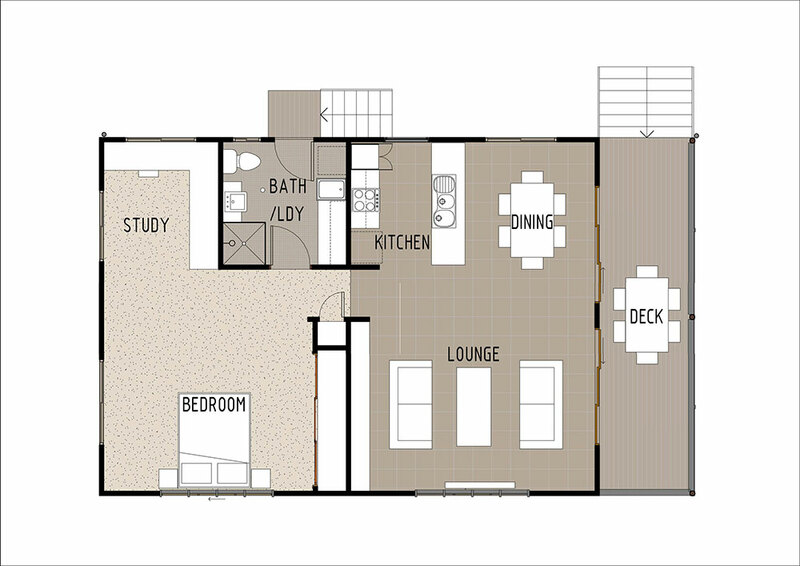 This granny flat design is perfect for both singles and couples.